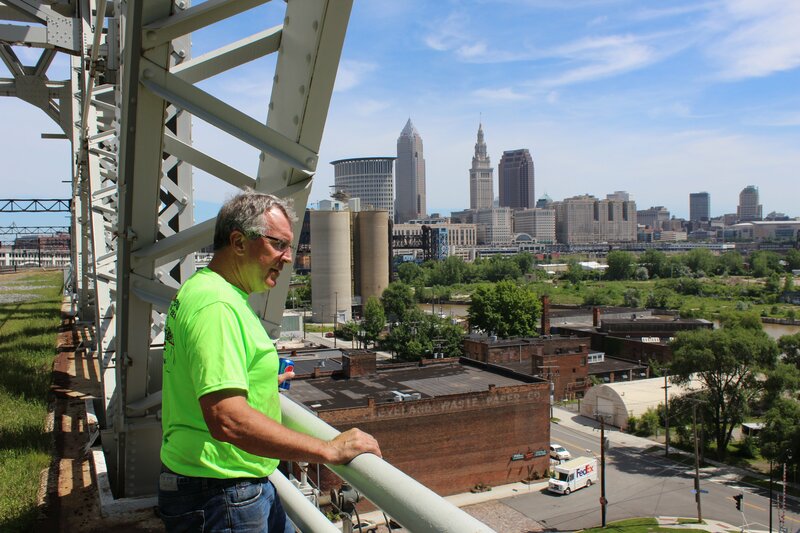 Standing atop the viaduct bridge that carries commuter trains between downtown Cleveland and the city’s west side, Lennie Stover stoops down and fishes a rusty piece of metal from the gravel next to the tracks. The action comes as second nature to him. For the past 25 years, the retired financial services advisor has spent nights and weekends as a volunteer caretaker of the 2.5-mile stretch of railway adjacent to the Greater Cleveland Regional Transit Authority’s Red Line. 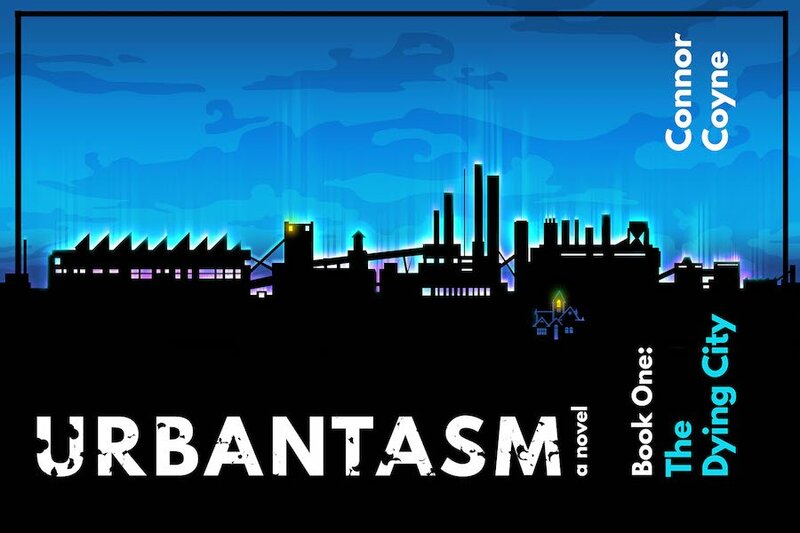 He pauses and looks out at the Cleveland skyline, the twisting Cuyahoga River, and the low-lying industrial Flats. A train approaches with a loud rumble, a reminder that this is still an active rail line. Stover, who gives regular tours of the area in his battered 2001 Ford truck, is allowed up here because the Rotary Club has a services agreement with RTA. As he unlocked the gate earlier, he called RTA dispatch to let them know he was here. 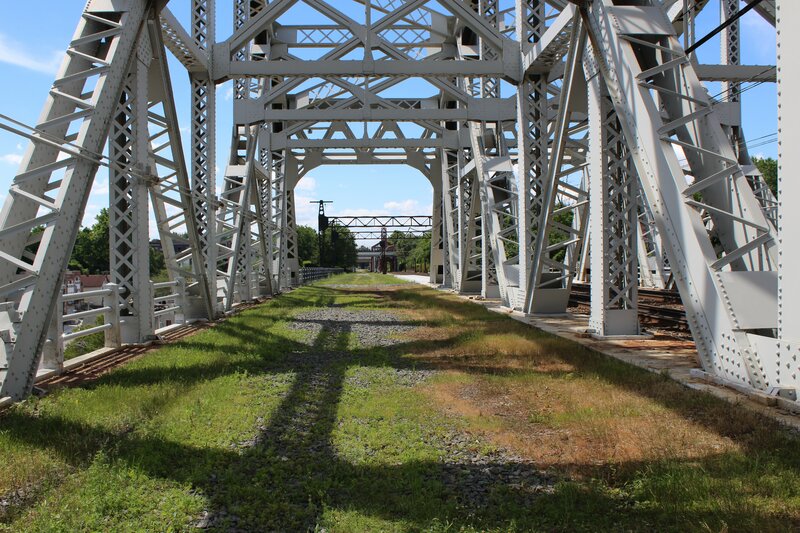 Stover and other Rotary leaders now want to open up a section of the railway to all comers. They envision turning the 2.5 mile stretch no longer used by trains into a $13 million trail and linear park called the Red Line Greenway. Their goal is to create a new recreational space and transportation corridor that they say will appeal to both Cleveland residents and visitors. In recent years, a flurry of reclaimed infrastructure projects have been launched in cities across the U.S. Rust Belt cities like Cleveland are uniquely positioned to take advantage of this trend, given the abundance of old rail lines, abandoned factories, and other unused infrastructure that exists in post-industrial cities that have shed people and jobs for decades. Over the years, the Rotary has acted as the area’s unpaid, weekend-warrior landscape crew. Volunteers have picked up hundreds of tires, sprayed fast-growing Japanese knotweed, and carted dumpsters full of metal to the scrapyard. A few years ago, they got permission from RTA to scrap some old track and ended up making $50,000 that they put back into the project. 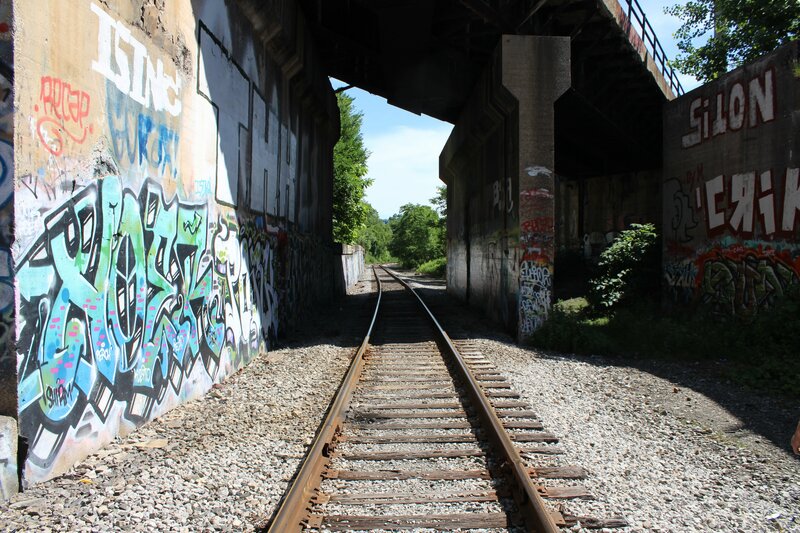 With the neighboring Ohio City, Tremont, and Detroit Shoreway neighborhoods experiencing a wave of gentrification, Rotary leaders say the time is ripe for the Red Line Greenway. The tracks function as a de facto dividing line between up-and-coming neighborhoods and poorer ones to the south, yet there are twelve spur trails and bridges planned that will help to bridge the gap. The Rotary Club’s dedication to cleaning up the area is one thing that has inspired RTA and other partners to sign on to the project. Although RTA was initially hesitant – transit agencies tend to get nervous when asked to consider putting people on bikes next to trains – RTA officials now say they’re completely behind the greenway and are pushing to make it a reality. 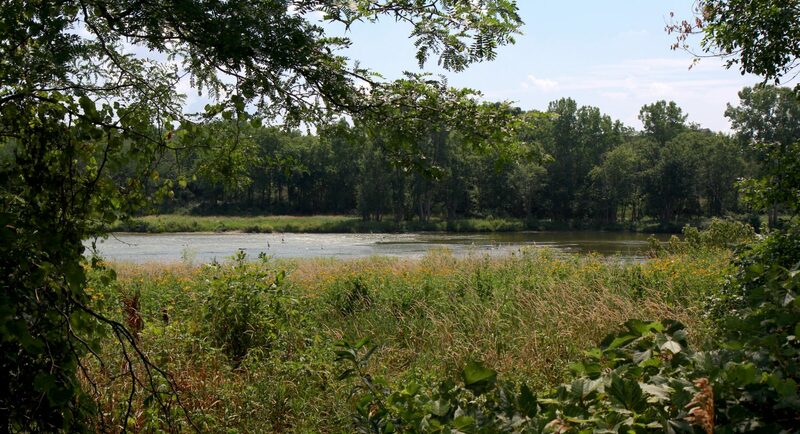 While Stover and others have been pushing the idea of the greenway for several years now, it might have been left stuck on the drawing board if Rotary leaders hadn’t convinced Cleveland Metroparks, the regional parks organization, to consider adding the greenway to its portfolio. In January, Metroparks received a $2.1 million Congestion Mitigation and Air Quality (CMAQ) grant from the Northeast Ohio Areawide Coordinating Agency (NOACA). Suddenly it seemed the project had legs. 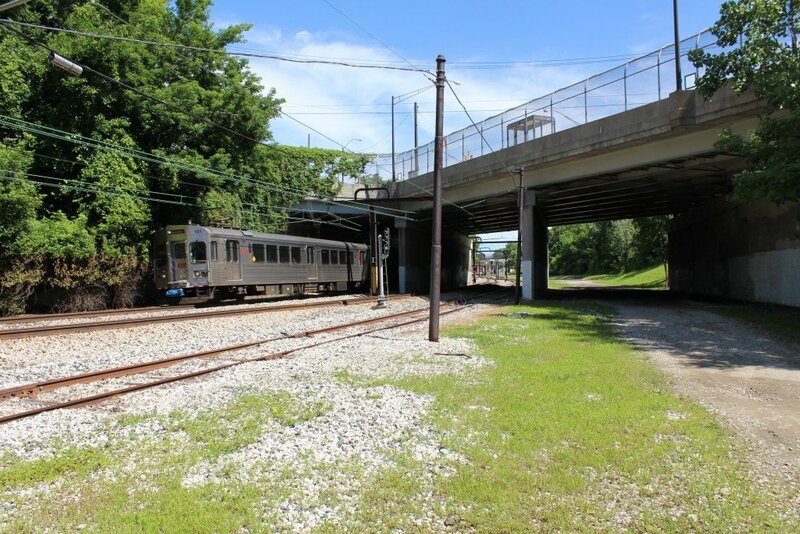 RTA also completed a survey and engineering study showing it’s feasible to build Phase I, which runs from the viaduct to West 41st Street and is estimated to cost at least $4.7 million, by separating the proposed trail from the active tracks with a fence. Phase II would involve building a trail alongside Interstate 90, while Phase III would involve building a cantilevered trail off the bridge. In May, Rotary officials and other partners took their vision to the public, hosting a public meeting that drew over 200 people. 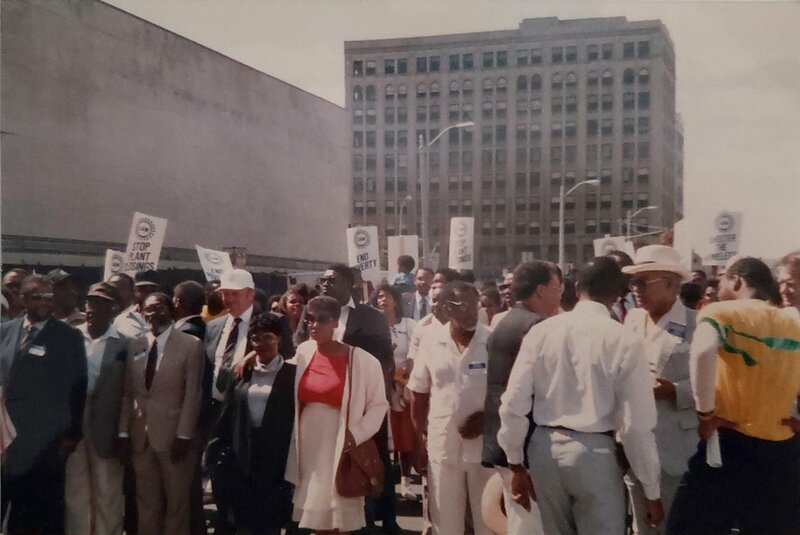 Although Phase I seems to be doable, the rest of the project remains highly conceptual at this point, but the Rotary’s long-term goal is to create an authentic public amenity and tourist attraction like the Dequindre Cut in Detroit or the newly opened 606 in Chicago. “We don’t want it to be just any trail – we want it to be a work of art,” says Koriath, citing the possibility of public art, natural ecosystems, bike rental facilities, and features like a café along the greenway. Stover wants to see the trail happen quickly, but the CMAQ grant only covers half of Phase I, and those funds won’t be available until 2020 at the earliest. This fall Rotary officials plan to launch a crowdfunding campaign to raise a portion of the $520,000 match that the grant requires. Yet the reality is that it could take a lot longer. One of the problems with building new trails is that funding is notoriously difficult to identify and secure. State transportation agencies can fund trails, but the vast majority of Ohio Department of Transportation funding goes to roads, bridges, and highways. Liberal think tank Policy Matters Ohio says that Ohio spends less than one percent of its annual transportation budget on public transit and ranks 47th among states in transit funding. Typically, trails in Northeast Ohio are built by patching together public and private funding. The $15 million Lake Link Trail in Cleveland’s Flats, a portion of which follows abandoned railroad right-of-way, has been in the works for at least a decade. In the end, project partners raised the money to build the trail mostly from private donors, including the Cleveland Foundation. Ohio has the money to fund trails, argues Policy Matters sustainable development researcher Amanda Woodrum, but has misplaced priorities. Woodrum cites the $330 million Opportunity Corridor project – a three-mile road linking I-490 to University Circle paid for by turnpike funds – as one example of how Ohio prioritizes building new roads over funding public transportation. While leaders work to raise funds for the greenway, Rotary volunteers have already gotten to work on carving out the future trail. Rotary stores two large shipping containers full of maintenance equipment along the greenway, and each week, Stover brings dozens of volunteers down to help maintain the area. On a recent June morning, 50 Forest City Enterprises volunteers trimmed trees and overgrowth along Turn Avenue, a street of modest homes in Ohio City. 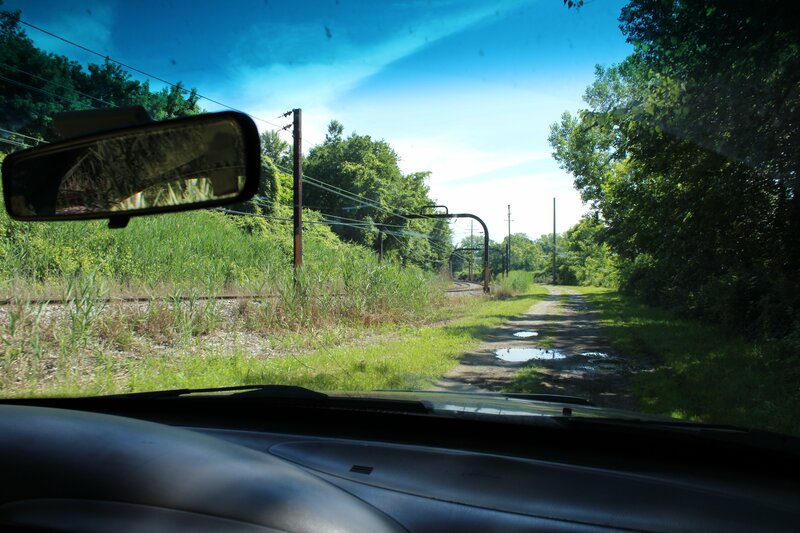 Recently, Stover, Koriath, and others rented equipment and excavated an abandoned alley that traverses Columbus Road hill from the viaduct bridge. It will become a spur trail that links the Red Line Greenway to the Lake Link Trail, leaders say. RTA had no idea the project was taking place until it was finished, which ruffled a few bureaucratic feathers. Yet Stover, who bops around in his truck like he owns the place, would rather ask for forgiveness than permission. 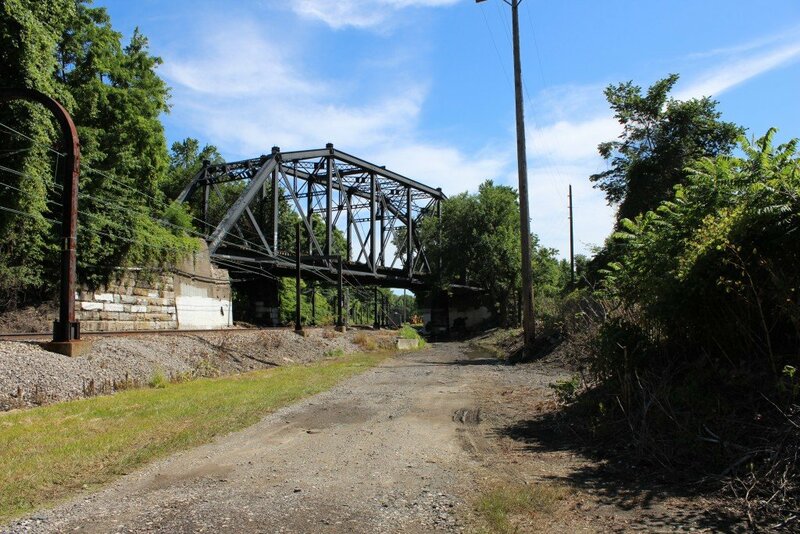 Cleveland, long dominated by cars, is having something of a greenway renaissance: the Lake Link follows an old railroad right-of-way, while the Towpath traces the old Ohio and Erie Canal. 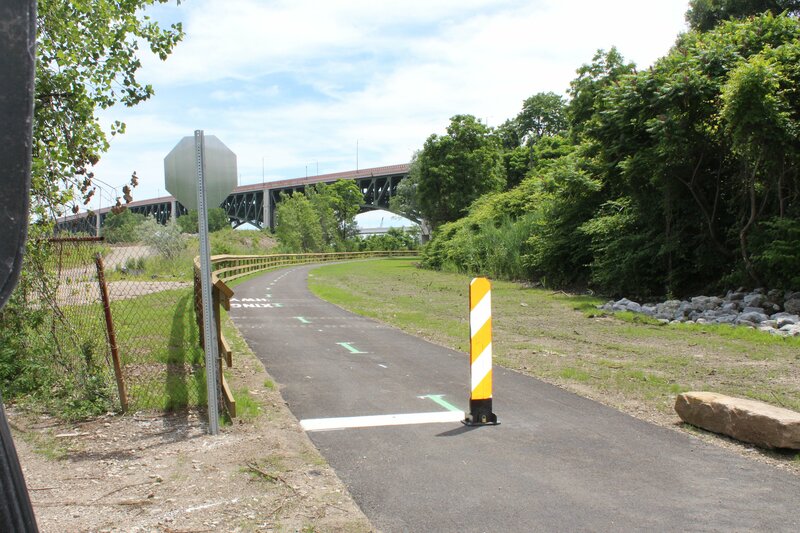 When these trails connect to the Red Line Greenway, pedestrians and cyclists will have access to a greenway network. Mother Nature isn’t exactly waiting around for the ribbon cutting, though. Although the greenway is touted as a transportation corridor, it’s also a burgeoning natural ecosystem full of plants and animals. Ironically, this biological resurgence is only possible because Cleveland’s population, decimated by deindustrialization, urban sprawl, and the housing crisis, has shrunk from one million in the 1950’s to less than 400,000. Stover and other advocates say turning this old infrastructure into a park will help to create a healthier, greener city. Lee Chilcote is a freelance writer based in Cleveland, Ohio. He works as Managing Editor of Fresh Water Cleveland. He also writes essays and poetry. I had the pleasure of an exciting ride through the Redline- Greenway project with Lennie Stover a couple of weeks ago….It was terrific! The beauty of the natural landscape intermingeled with very dramatic views of Cleveland from atop the Cuyahoga Viaduct an RTA Bridge was breathtaking. The bouncy ride in his wonderful truck with character was an adventure I treasured because it gave me fond memories as a youth on my grandpas farm….and many wonderful years outside in nature. This bike path will be so very beautiful and exciting to ride when done!!! 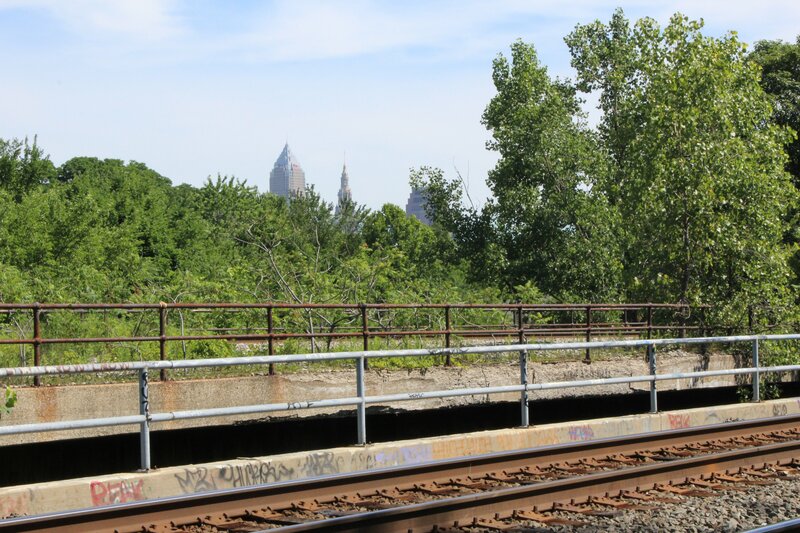 An important asset to Cleveland connecting to the now finished Cleveland Foundation Centennial trail. 2. The PATH Foundation/Cox Enterprises, Inc./James M. Kennedy Foundation. Cleveland is a Cox Communications market, and this organization can be a really major help in projects of this type (I live very near one in SC).